The last of the Roman army have set sail and left Britain forever, abandoning it to civil war and the threat of a Saxon invasion. Aquila, a young Legionnaire, deserted his regiment to stay behind with his family, but his home and all that he loves are destroyed. Years of hardship and fighting follow, and in the end, there is only one thing left in Aquila's life--his thirst for revenge . 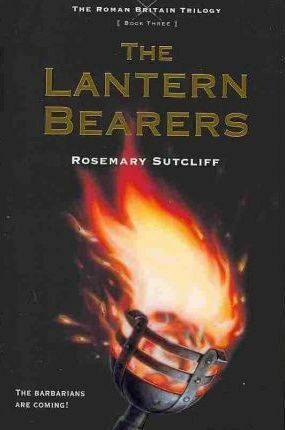 . .
Rosemary Sutcliff (1920-1992) wrote dozens of books for young readers, including her award-winning Roman Britain trilogy, The Eagle of the Ninth, The Silver Branch, and The Lantern Bearers, which won the Carnegie Medal. The Eagle of the Ninth is now a major motion picture, The Eagle, directed by Kevin MacDonald and starring Channing Tatum. Born in Surrey, Sutcliff spent her childhood in Malta and on various other naval bases where her father was stationed. At a young age, she contracted Still's Disease, which confined her to a wheelchair for most of her life. Shortly before her death, she was named Commander of the British Empire (CBE) one of Britain's most prestigious honors. She died in West Sussex, England, in 1992.